John Travolta whipped out some of his “Grease” and “Saturday Night Fever” dance moves to get down with 50 Cent at the Cannes Film Festival on Tuesday. 50 Cent was performing “Just a Lil Bit” at a party when Travolta decided to join the rapper on stage. 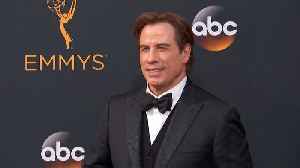 Travolta was at the film festival to promote his film “Gotti,” in which he plays New York mobster John Gotti. Kevin Connolly directed the film, which also stars Kelly Preston. Recently, Travolta joined the Foo Fighters during their set at the Welcome to Rockville music festival in Florida last month. The band started to play the “Grease” hit “You’re The One That I Want” when Travolta trotted on stage, gave a quick wave and sauntered off again. 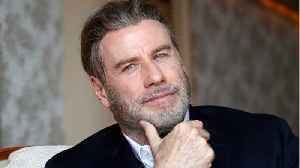 Watch a video of Travolta and 50 Cent below. Wow! @johntravolta joined @50cent @tonyyayo @djchubbychub on stage tonight at #Cannes ! Crazy Night ???????????????? #France #GUnit #PassportGang Stay Tuned for the Full Video! ???? A prequel to **Grease** is coming. 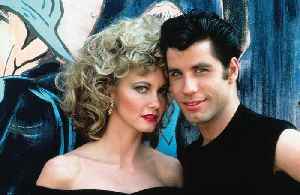 TheWrap reports a new movie about original **Grease** characters, Sandy and Danny, is in the works at Paramount. 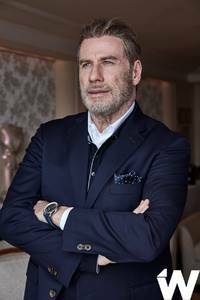 **Summer Loving**, written by John August, will tell..
On the 18th February John Travolta celebrates his birthday!